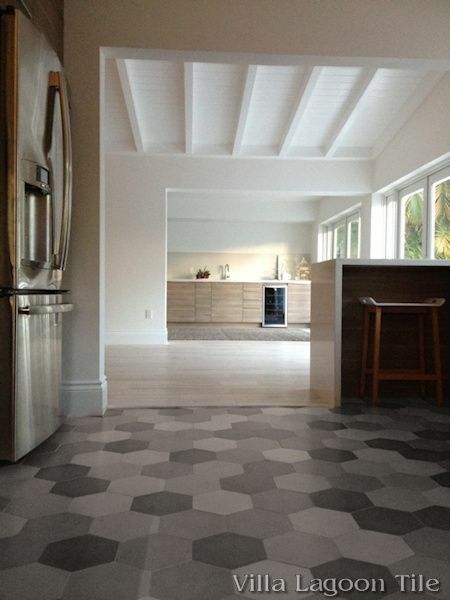 Don't forget you can mix your own, from individual in-stock solid colors! *Please note that "Pre-Sealed" lots must still be sealed during installation, and may not be right for every application. 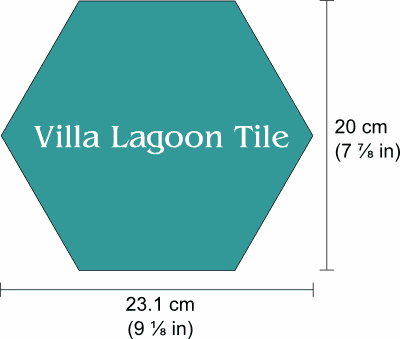 This is an assortment of single-color 8" hexagonal cement tile, using Excalibur, Seagull, Pebble, and Portland from the South Beach Palette. 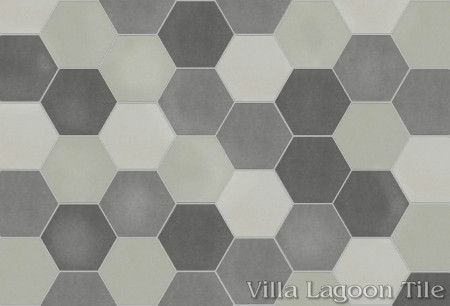 This 8" (20 cm) hex shape has become wildly popular lately, so we produced a mixture of grays that will produce a stunning surface. 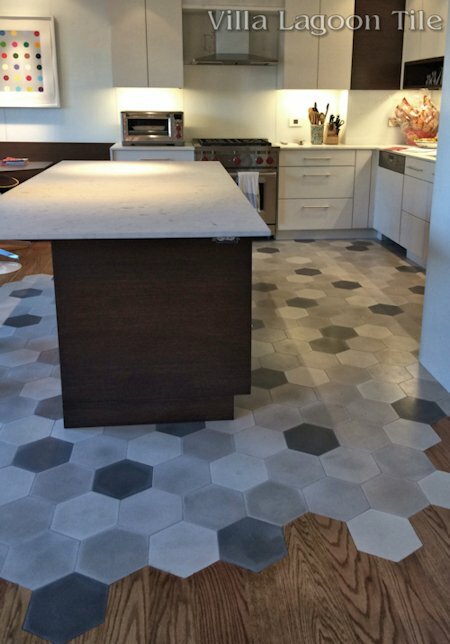 Want an even more unique look? 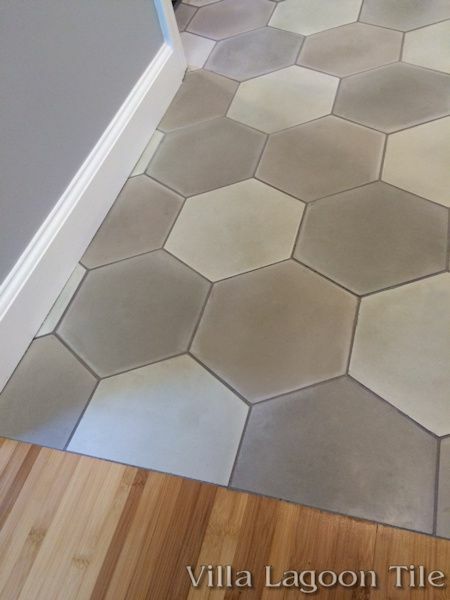 Consider installing your hexagonal tile alongside hardwood floors... cut the tile for a straight transition to wood, or cut the wood for a more interesting transition to the hexagons. 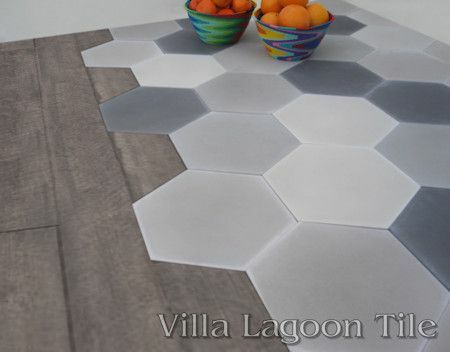 These shades should look especially good with gray, pewter, and silver shades of wood floooring. 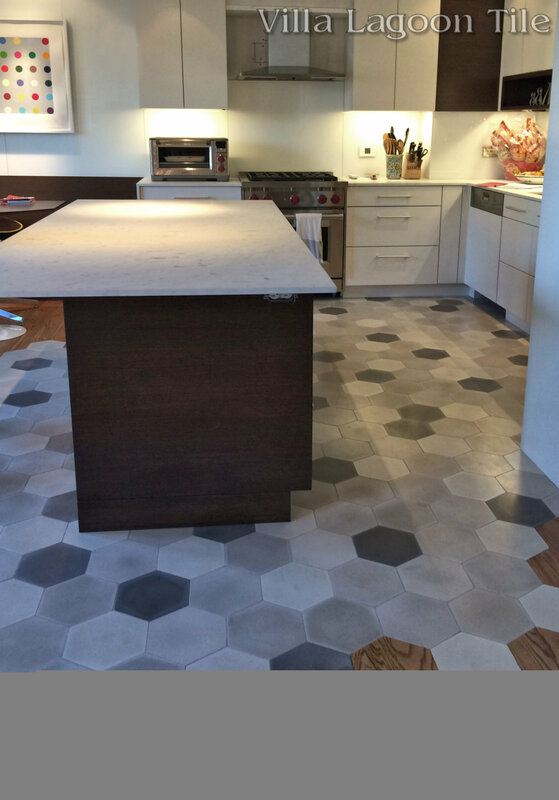 This beautiful New York City installation flows hardwood floors into our mixed gray hex cement tile. 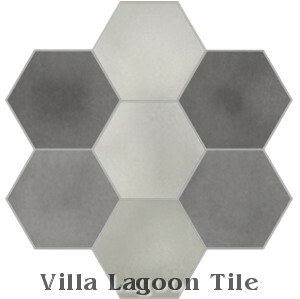 We have carried previous lots of Mixed Gray Hex using different colors. This configuration will always be available as custom tile. 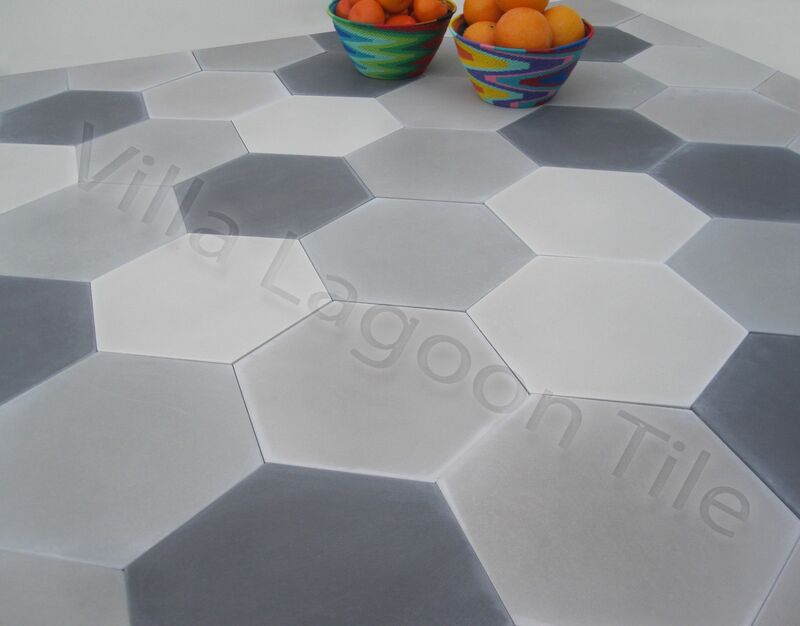 Our in-stock tile is made through the same hand-made processes, but with custom tile you trade a greater lead-time for the ability to choose colors, patterns, and quantities tailored to your unique installation. Visit the South Beach Collection to see all that is available.